Pat Ruddy presents an intensive pictorial excursion from the first tee to the eighteenth green and discusses many intriguing golf design concepts on the way. This book was kindly donated to the EIGCA Library by Paul O'Brien. 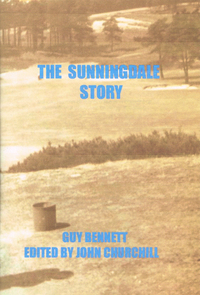 First written by Guy Bennett, a pre-war Secretary of the club, it has been extensively edited and added to by John Churchill, who has been a member of the Club for 55 years and studied the “archaeology” of the courses. This is available only as a Kindle e-book from Amazon, but Mr Churchill has kindly deposited a hard copy with the EIGCA Library. The sports industry has been notorious for delivering its construction projects with both cost and time overruns. Recently there have been some high profile success stories but the golf sector has remained isolated from the cutting edge thinking implemented on such projects. A dissertation submitted by John Bowden in partial fulfillments of the requirements for the MSc degree in Construction Project Management. John was a former student on the EIGCA Diploma Course. A round up of recently published articles from a range of magazines and online newsletters. 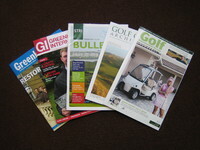 All the usual titles have been covered, including the latest issues of Golf Management Europe, Golf Course Architecture, STRI Bulletin for Sports Surface Management, Greenkeeper International and Greenkeeping.